The S3L is growing fast and McDSP, being one of the first plugin developers to support Pro Tools RTAS platform, so it would be no surprise that they were one of the first developers to support to S3L line. Take the power of McDSP plug-ins from the studio to the stage, and back again, with the release of Avid S3L support for all McDSP HD v5 plug-ins. McDSP has qualified all its AAX DSP plug-ins to operate on the S3L systems, and even added a few improvements to better support the S3 control surface. McDSP plug-ins like the new AE400 Active Equalizer, and bundles like Live Pack and even Everything Pack, now include support for this new modular, networked live sound system from Avid. McDSP HD v5 plug-ins include support for AAX DSP, AAX Native, TDM, RTAS, and Audio Unit (AU) plug-in formats. S3L compatible installers are available now at the McDSP web site downloads section. McDSP support for the Avid S3L systems is available as a free update to v5 customers. 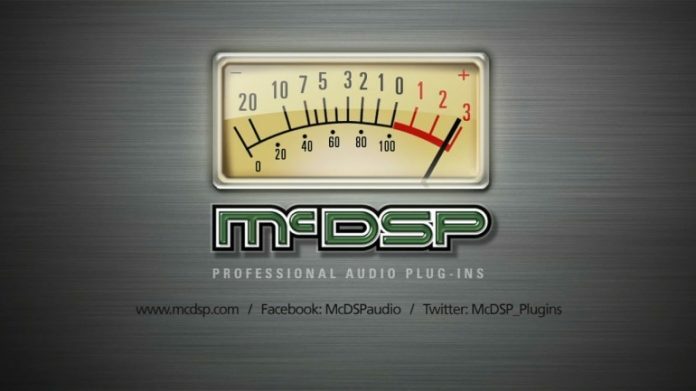 Customers not already owning v5 McDSP plug-ins can purchase upgrades from the McDSP online store.